Community is a very important piece in our mission here at PhotoUp, and we are passionate about being able to give back. We are constantly searching for ways to create positive impact in our communities as part of our social mission. 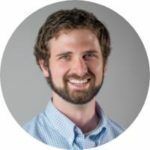 Recently we were given a great opportunity to partner with a group of individuals who are just as passionate as we are in contributing back to communities. 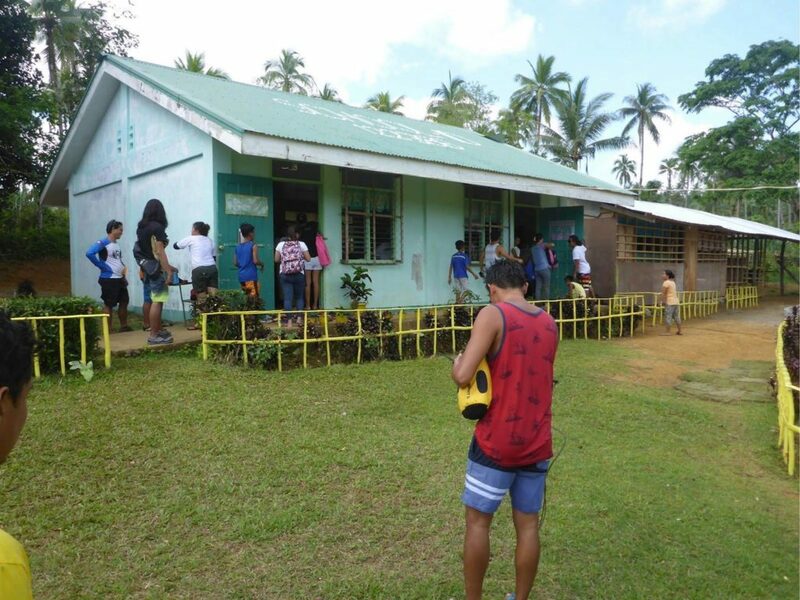 For our most recent Community Impact Project, we teamed up with Ripples Surf Camp and PAPEL to distribute school supplies to 200 students from 2 schools in Borongan City, in the province of Eastern Samar. The province was along the path of Typhoon Haiyan when it crossed the central part of the Philippines. Ripples Surf Camp is organized by a group of surfing friends. Apart from providing participants an introduction to surfing, the camp also includes community outreach programs as part of the camp’s itinerary. Guests and participants not only get to enjoy surfing, but are also able to give back to the community. 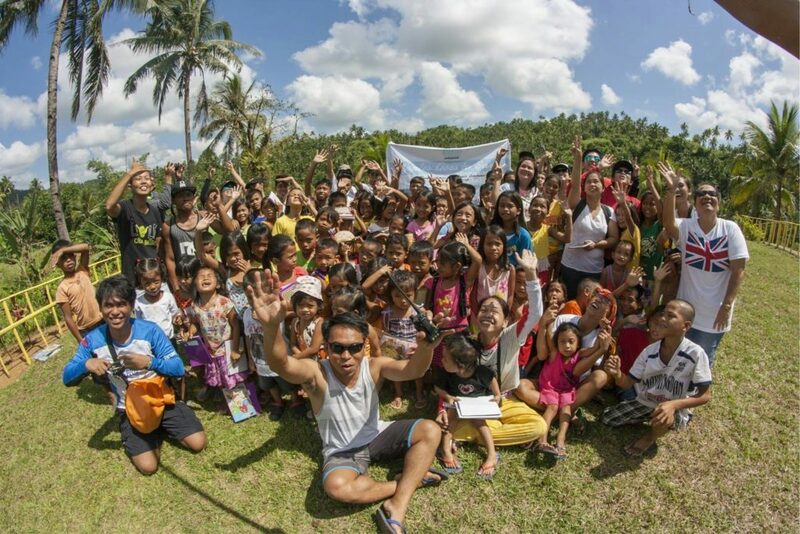 Through Ripples and PAPEL, we were able to broaden our impact from Cebu and all the way out to Eastern Samar. It has been one of our plans to go on a surf trip. Myself (Ossie), Lawrence, Clyve, and Brian enjoy board riding – on land and water – among other things. With the Ripples team a few staff members short, the four of us volunteered to be part of their kitchen crew. The team from Ripples also reached out to PhotoUp to see if the company was keen on co-sponsoring the planned donation drive which was to be part of the Ripples Surf Trip itinerary. We saw the said instances as a good opportunity to be able to go on our long-planned trip, and be able to volunteer for a good cause. With the budget approved, we were able to purchase the supplies needed for the 200 kids we plan to hand out the school kits to. 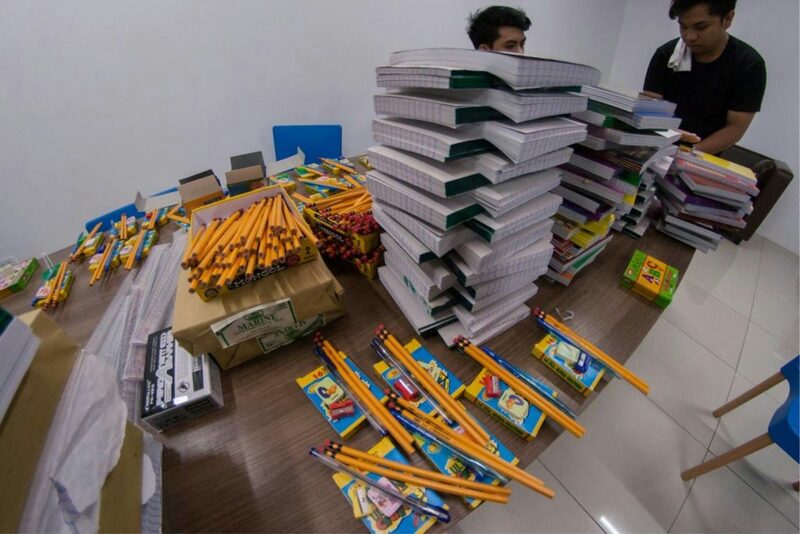 The kits consisted of crayons, notebooks, paper, pens, pencils, rulers, and assortment of other materials kids needed in school. Assembly of the kits was done in the PhotoUp Office with volunteers from our staff members. 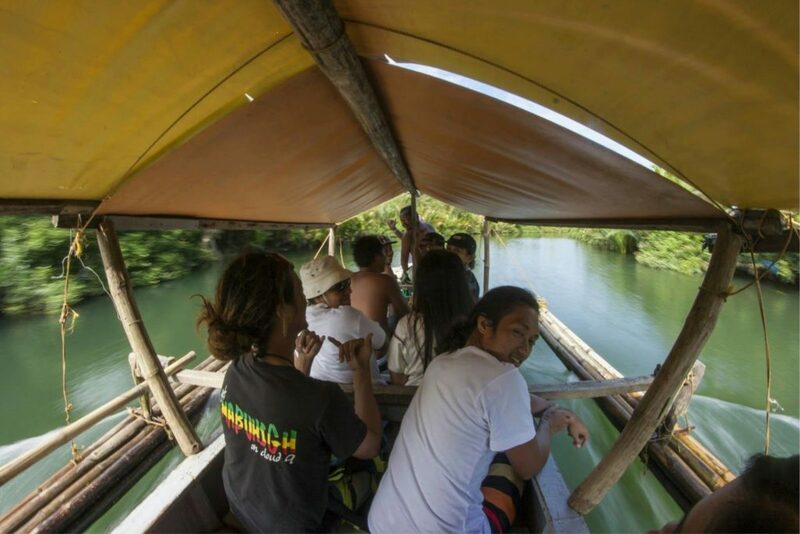 A few days after the kits were put together, we took a ferry from Cebu to our first drop-off in Ormoc City. From Ormoc, we took a chartered van to Borongan City after briefly passing through Tacloban City (one of the cities severely affected by Typhoon Haiyan). After three hours, we were finally able to reach our destination. Bato Elementary School was one of the first schools we visited. It was accessible enough as it was located along the city’s main road. Just across the road from the sea, it received some of Typhoon Haiyan’s force. The school is attended by residents within and around the town’s center. 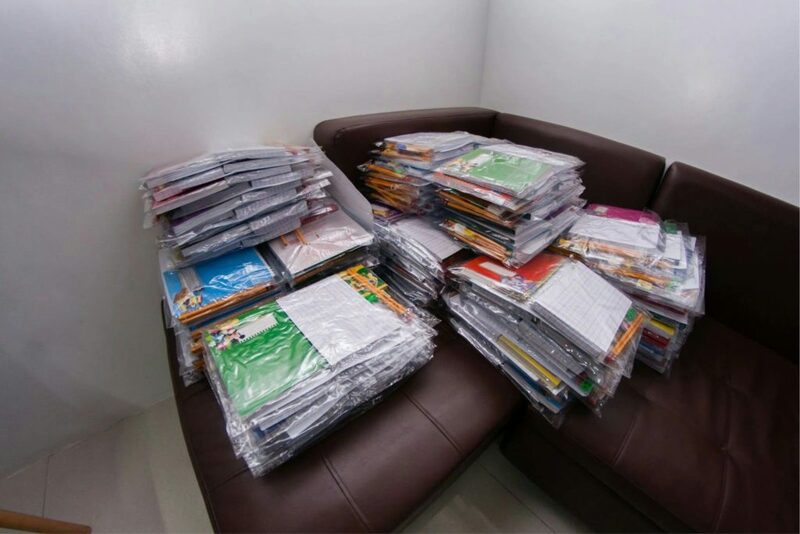 For Bato, the team chose to give out the kits to incoming first-graders to ready them for the next school year. 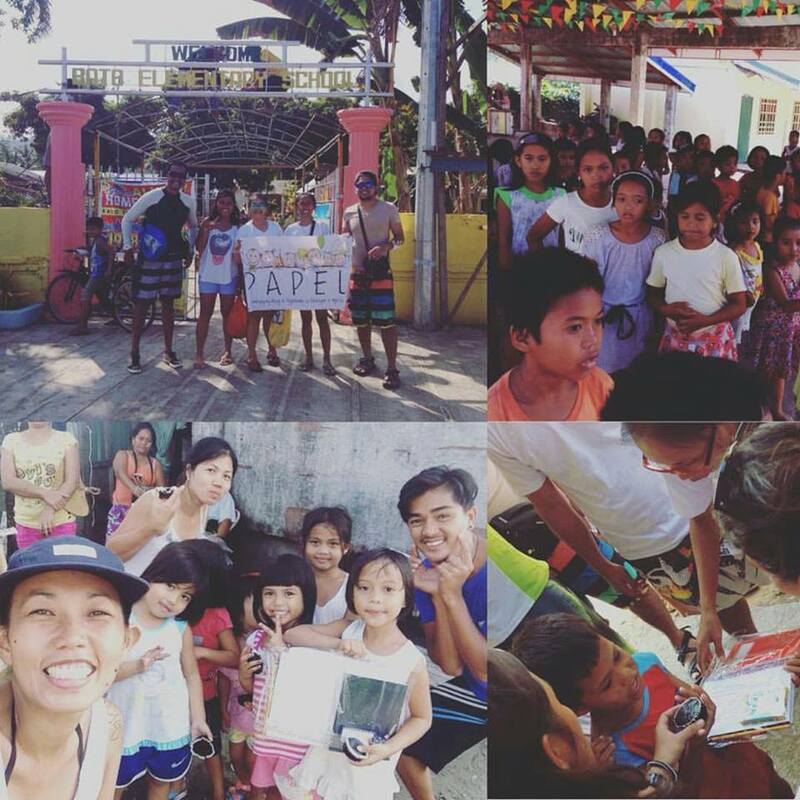 The team from PAPEL headed the donations in Bato Elementary School with volunteers. Snacks were also prepared for the kids and other guests. The following day we headed to a more remote area which was still part of the city’s jurisdiction. San Pablo Elementary School was the second school we visited for the donation drive. 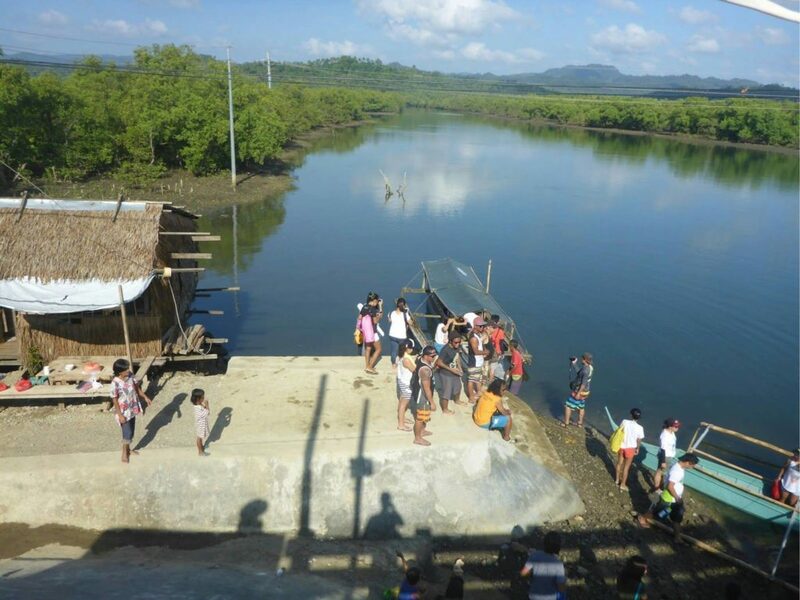 While the community of San Pablo was not as affected by the storm 3 years ago, it is however among the least accessible communities in Borongan. San Pablo is only accessible by small outrigger boats navigating through a network of small riverways. 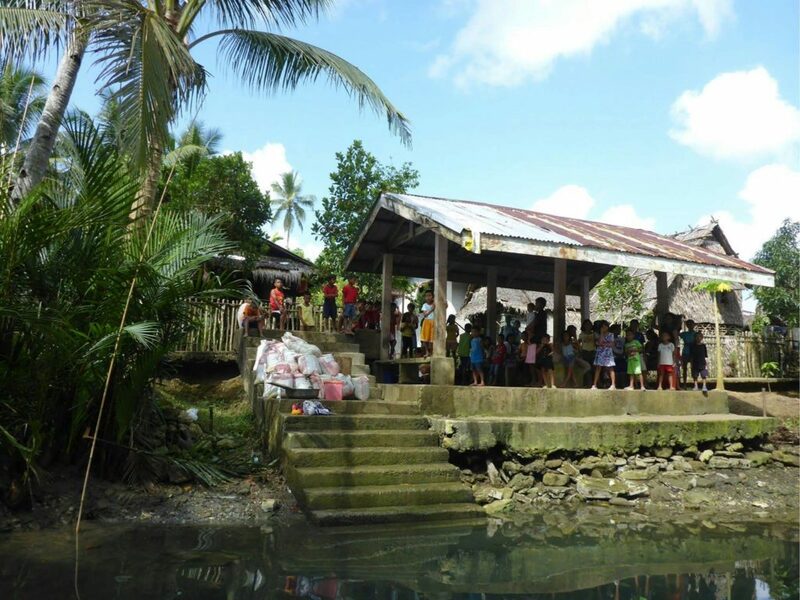 Aside from being remote, San Pablo is also a very small community. The school itself is only attended by about 70 students ranging from day-care all the way up to the 6th grade. We were welcomed with fresh coconut water, local delicacies, and smiles from kids and parents. We were also treated to lunch by Pahungaw Falls. Overall the experience was very eye opening. Besides being able to see a part of the country we were not able to see before, we were able to meet people who are very passionate about giving and sharing. The experience also challenged our concept of comforts and luxury, and resilience. To see people live simply and be surrounded by nature made us feel so deprived being city-dwellers that we are. The people of Borongan experience being battered by typhoons on a regular basis yet they refuse to be weathered. With each storm, the community and its people become stronger. We’re very thankful to have been given the chance to experience the culture of Eastern Samar. My sincerest gratitude to the entire PhotoUp community for allowing us the capability to reach out to our communities. Our thanks also goes out to our partners in this activity, and the individuals who have contributed in cash and kind to this trip: Maria Theresa Cardenas Lanit, Hannah Melissa Enage, Lilibeth Caballero King. Samar trip was definitely different from my other trips. 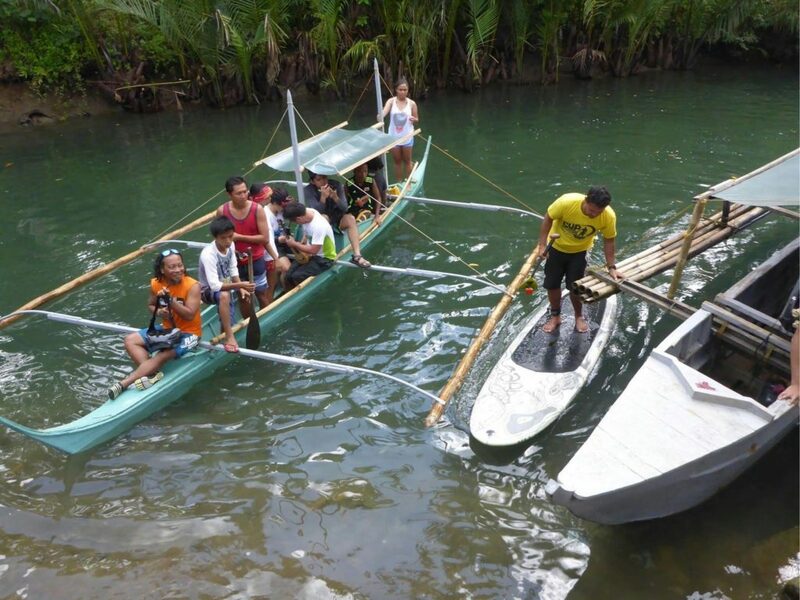 It was my first experience on going on a surf trip while doing an outreach activity. The feeling of helping other people and reaching your hands out to those who have less, it gave me goosebumps. I have experienced genuine smiles, and have built in me so much respect for people who came from all walks of life. It made me realize how lucky and blessed I am in this life. This trip has been a dream come true for me. I did not expect for the trip to take me THAT far. As we arrived, we were welcomed by locals. On our trip to San Pablo Elementary School, the plan was to sponsor lunch and give away school supplies to students. As we distributed treats and snacks, you can just see from their smiles their excitement. The best part was when we started giving away their school kits, kids were just overwhelmed with joy to be receiving such gifts. In reality however, I feel that it was me that was gifted with great joy for being able to experience and see the happiness from the kids. Thank you PhotoUp for this experience! First of all, thank you PhotoUp for the opportunity through our EDP. It has been very meaningful and worthwhile time spent in giving back to others. 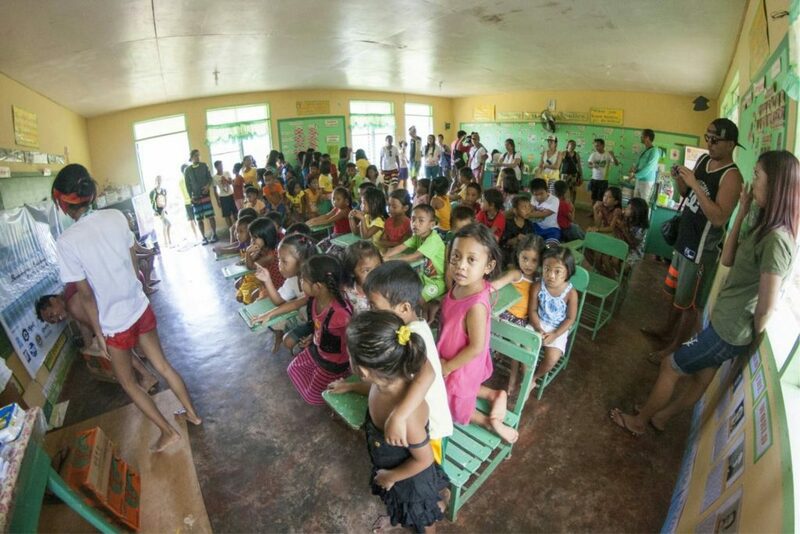 Our trip to San Pablo was one of the most memorable activities we were able to do as part of our Community Impact Projects. Seeing how the locals reacted to a bunch of tourists coming to their community to share simple joys through the school supplies we were able to bring, was just priceless. The trip has allowed us not only to create impact in the community, but also allowed us to meet new people and build friendships. It has also allowed me to look at the simple life that we can live even in times of modern conveniences. 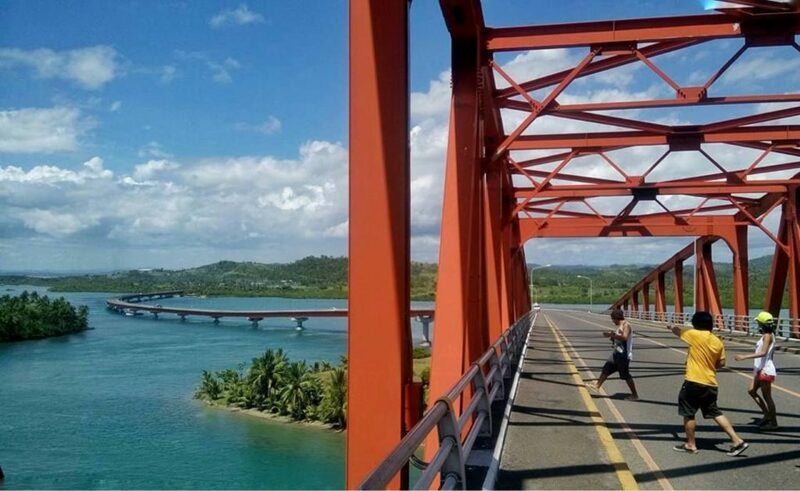 The trip was fun, and the stoke has not left me since, hence the term we coined the trip ‘Endless Samar’. After distributing the school supplies to students, the locals guided us through a 30-minute trek into the mountains to have lunch at Pahungaw Falls. 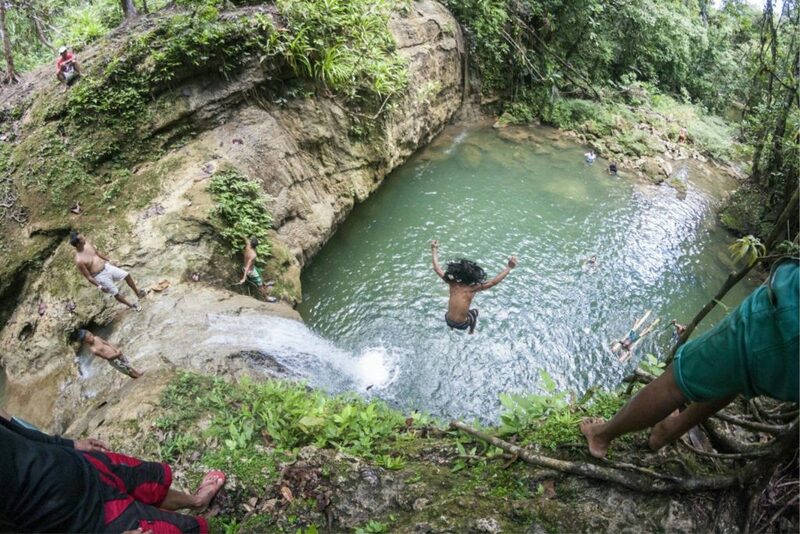 We couldn’t resist the urge to plunge in the cool jungle waters.